Carmen Shenk, the Tiny House Foodie, and her husband, Xaver, were working all hours and missing each other. So, in the fall of 2014, they sold their 3,000 sq ft restaurant and bought a 125 sq ft tiny house. At first it was cozy and cute, but then the space started to feel confining. In the autumn, Carmen wanted to make apple pie – but didn’t have space or an oven to do so. She learned some lessons the hard way through that transition, some were practical, and some were philosophical. 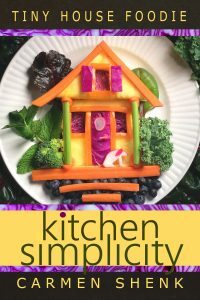 The things she learned she put in her first book, Kitchen Simplicity. 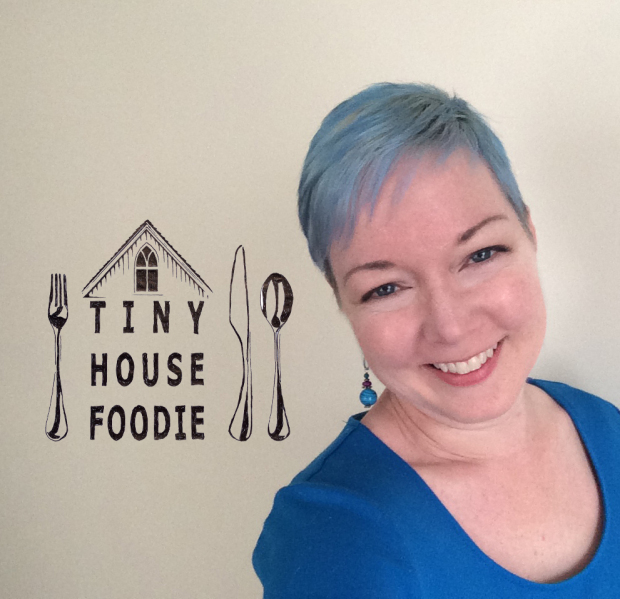 Come hear Carmen’s take on what it requires to cook and live in a tiny house without sacrificing flavor or contentment. “It’s not a cookbook. It doesn’t have any recipes. It’s very philosophical. It doesn’t qualify as a memoir, but it conveys a lot of my personal experiences,” said Carmen.